Simply put, a bungalow is a one-storey house. This can include houses with or without basements. 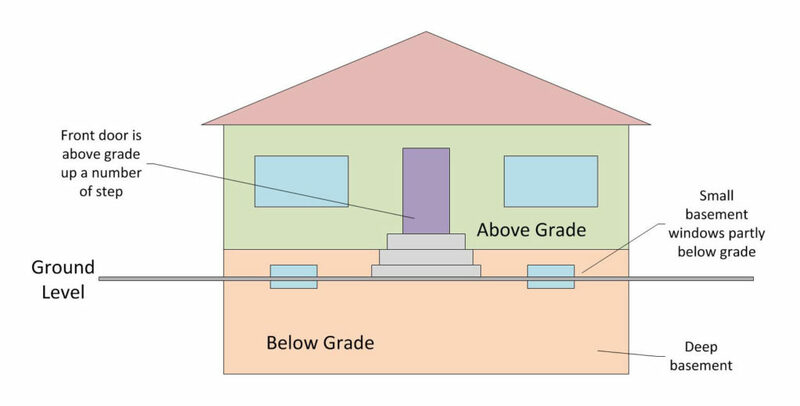 This means that there is no more than one level above grade, although there may be one below grade as well. Bungalows are a property style that was a very common type of house in Edmonton in the pre-war era and up until about the 1970s when other styles gained popularity. Finding a new bungalow is very hard to do in Edmonton because they are rarely built anymore. Bungalows in Edmonton typically sell for much more money than an equivalently sized two-storey home. This is because the footprint of a bungalow has to be much larger to accommodate the square footage of what you might find in a two-storey. That large footprint means a lot of concrete for the foundation. It is common for large bungalows to have large basements, which is impossible on a small lot. It should be noted that bilevel homes and raised bungalows are technically other types of single-storey homes and could also classify as bungalows. An drawing a bungalow showing the characteristically small number of steps up to the front door and the typical smaller basement windows. 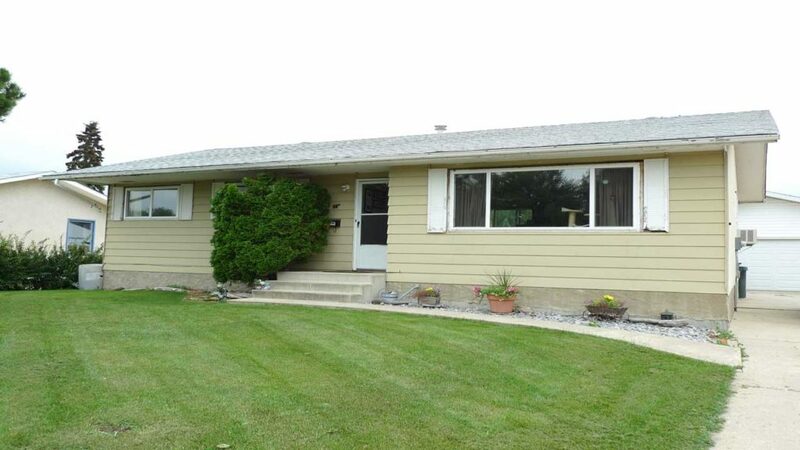 An example of a bungalow in Forest Green, Stony Plain. Notice how the foundation is just over a foot above grade. Bungalows have an advantage over other styles of homes because they are arranged all on one floor (plus a basement). Anyone with mobility issues will really appreciate a bungalow. But more than that, having everything on one floor does provide a flow that other formats cannot.